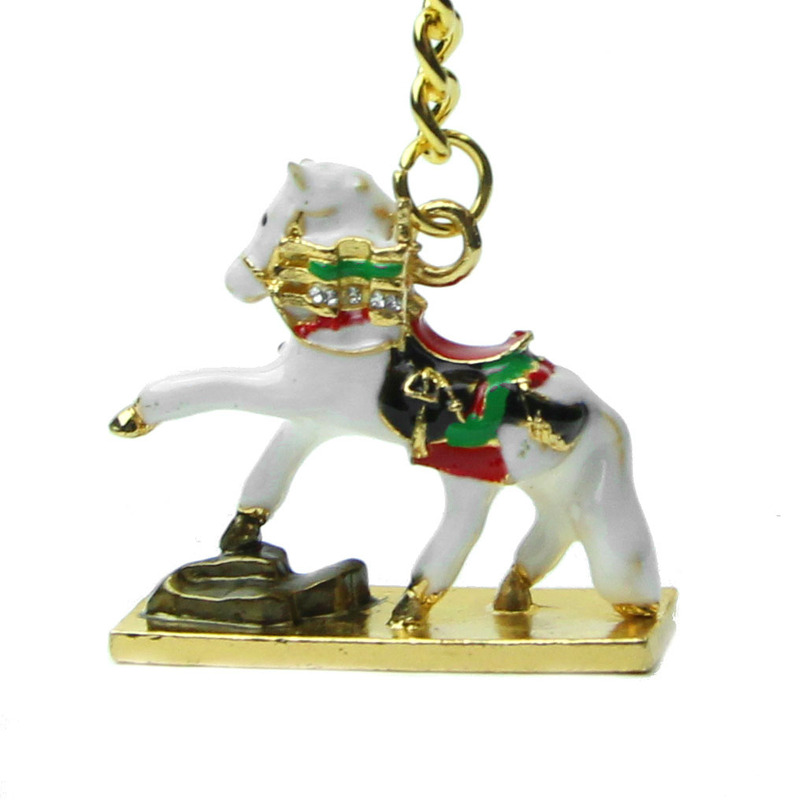 Sparkling in white, red, green, and gold, this Precious White Horse Keychain Amulet is the perfect ornament and accessory for your wallet, keychain, purse, clothing item, car, etc. Carrying around a white horse keychain amulet can bless you with increased strength and dedication toward all endeavors: blessing you with auspicious luck and prolonged victory and success ! The horse is a universal symbol of endurance, strength, power, victory, success, and independence. As the 7th sign of the Chinese zodiac, the horse is an excellent symbol of reputation, victory, strength, and endurance. Placing a horse figurine in a room or office will help enhance positive chi and attract good fortune chi. The horse’s allies are the tiger, dog, and sheep; placing your horse figurine with these animals will help increase the auspicious chi in an environment. The horse’s direction is south, its intrinsic element is fire, and it is strong representation of yang. Thus, place your horse figurine in the South sector to help activate fame, inner strength, recognition, and power. Display a horse figurine in SE for wealth, in South position to gain good fame or in North position to bring chance to successful career. The dimension of the victory horse amulet is approx. 4" x 2" x 0.5". It is made of alloy.